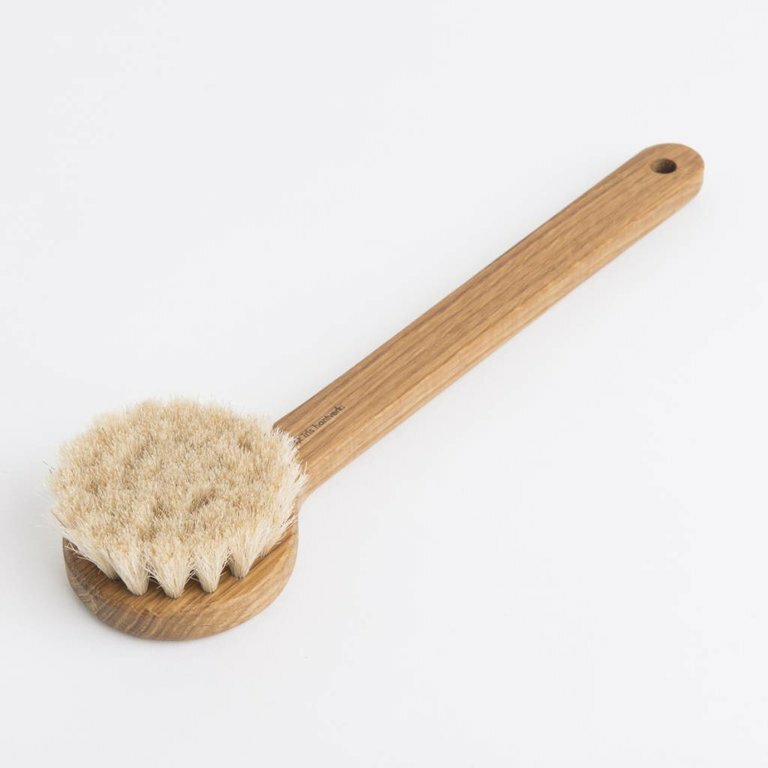 This body brush gently massages and exfoliates the skin. The horse hair bristles stimulate blood circulation and makes you feel relaxed. 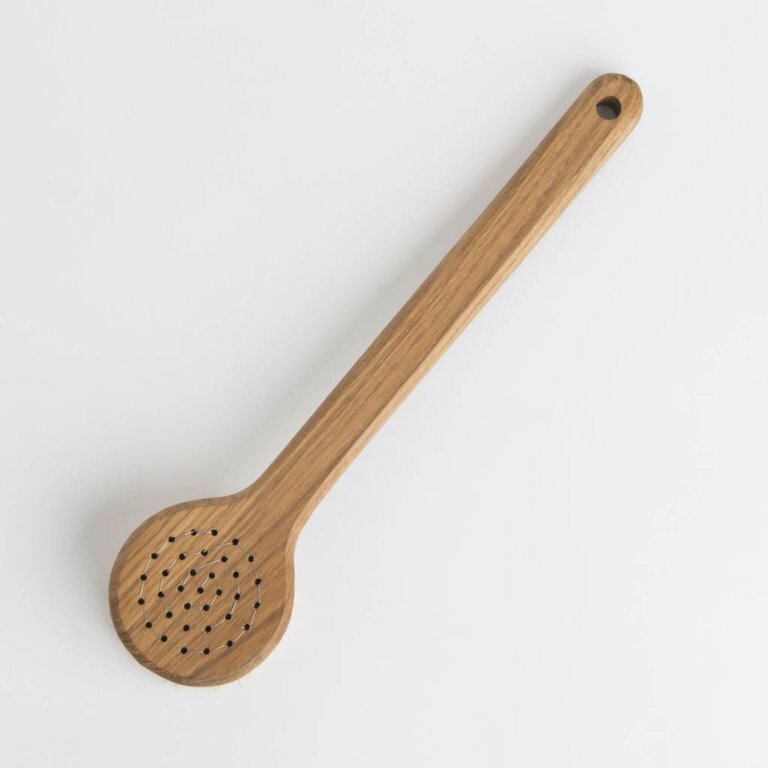 Measures 30 cm. 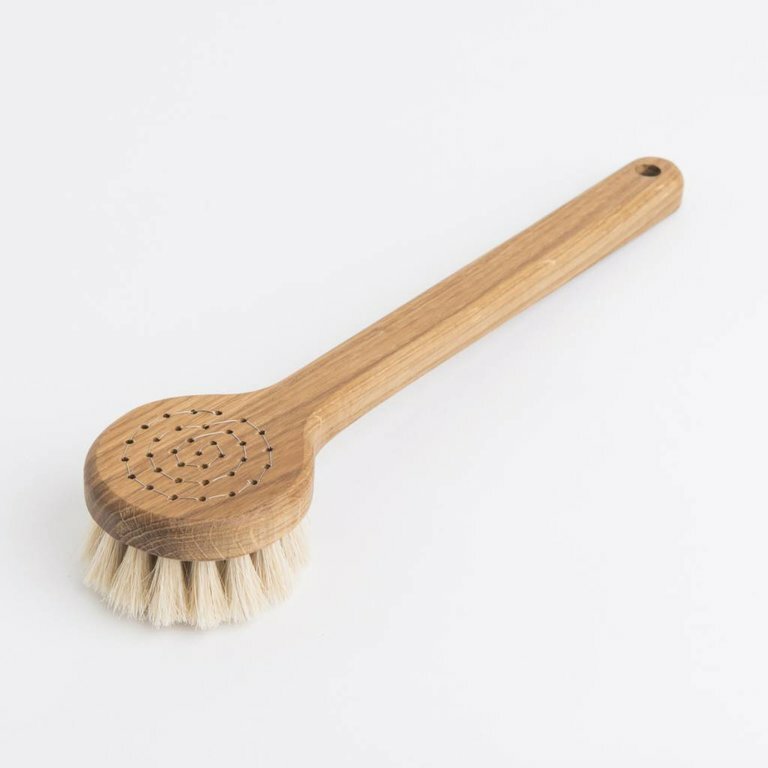 This brush gently massages and exfoliates the skin. The horse hair bristles stimulate blood circulation and makes you feel relaxed. Measures 30 cm. 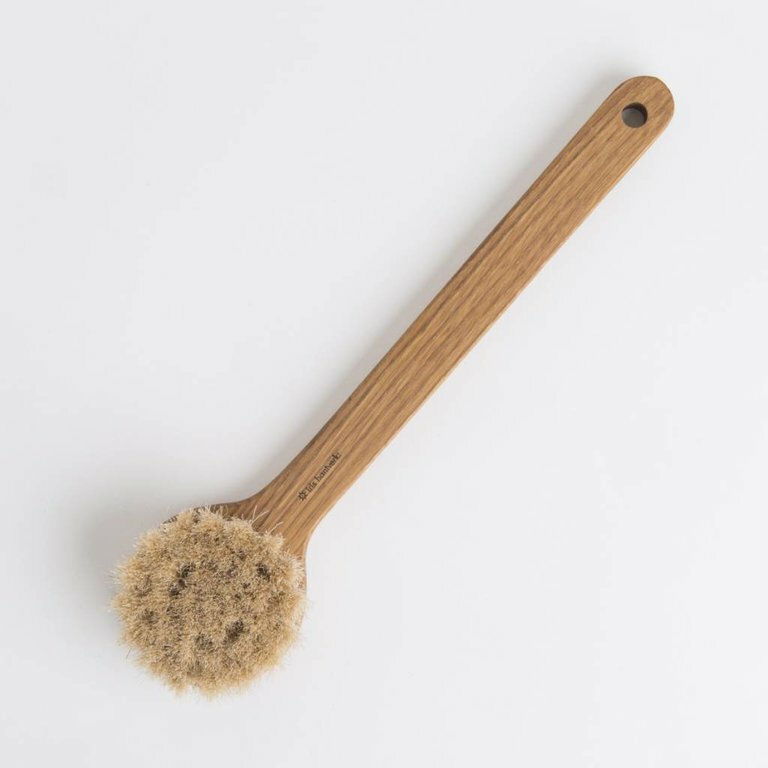 This body brush is made out of oak and horse hair. Let it drystanding on the brush or hanging so the water is transported away from the wood that is more sensitive to moisture.